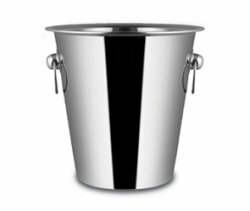 Stainless Steel wine bucket with Mirror Finish. This champagne bucket An ideal way to keep wine and champagne cold for hours! Fits into our stand or can be placed on your table.